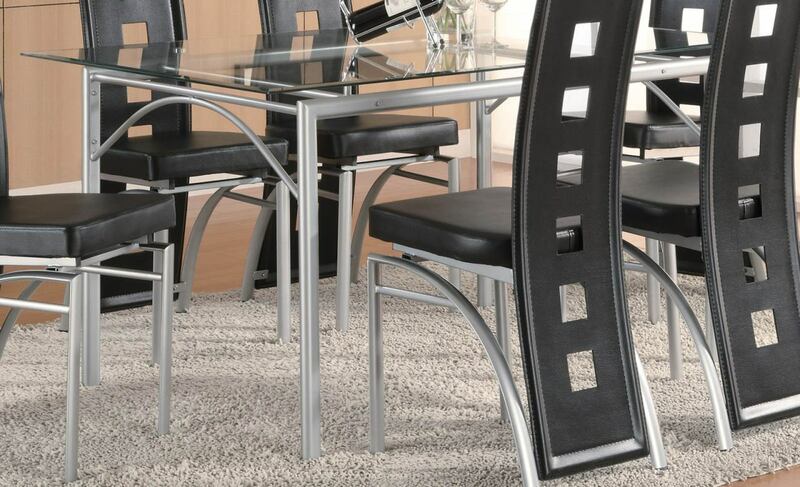 The Los Feliz Collection by Coaster Furniture is an ultra-modern set that instantly becomes a focal point in your dining area. 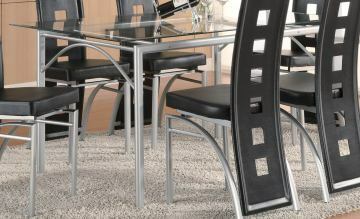 The table features a glass top supported by straight legs in a matte silver metal finish. Matching chairs have cushioned seats upholstered in either black or red bonded leather and feature graceful curves and pierced seat backs with a matte silver metal finished base. Together they form a collection that has simple and straight lines and inviting, muted shapes with elegant proportions and dramatic looks.